Stocks continued higher last week, as the S&P 500 rose by 1.62 percent to 2,779.03. 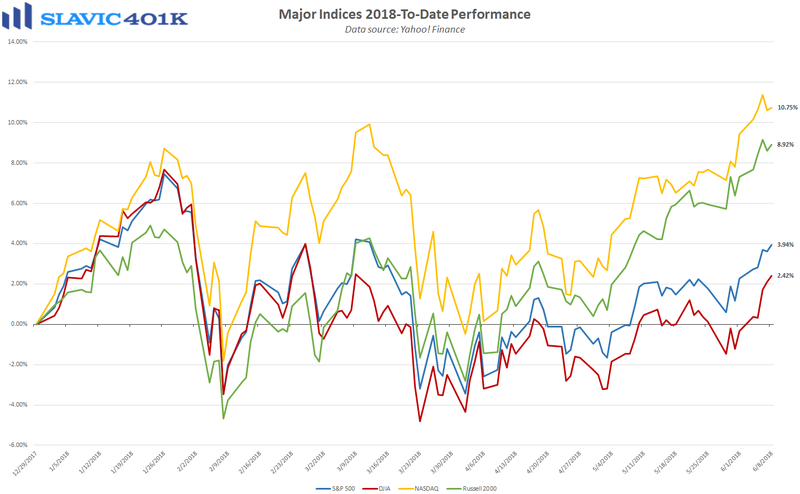 That was the largest gain in a month and it left the benchmark index up 3.94 percent 2018-to-date, and just 3.27 percent below the record close hit earlier this year. 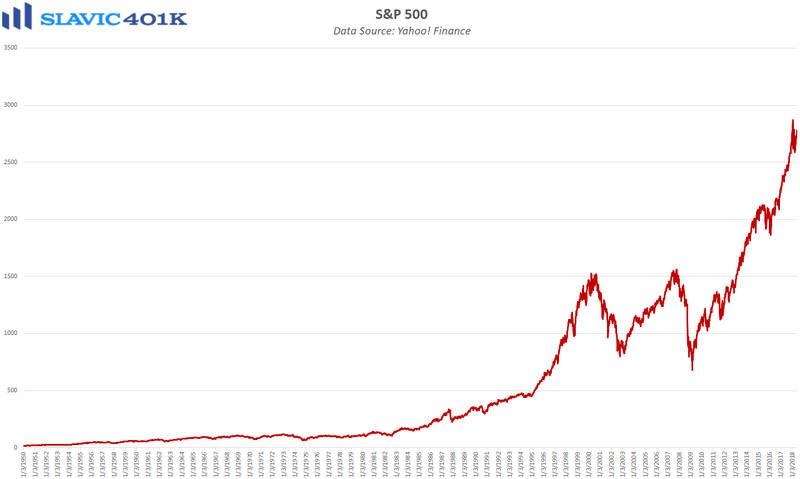 Other major indices, such as the NASDAQ and Russell 2000, have already risen to new all-time highs, helped by money pouring back into equities due to fear of missing out on another market melt-up. Moreover, the CBOE’s VIX volatility index, often referred to as “investors’ fear gauge,” collapsed last week to the lowest level since January, and the latest AAII sentiment survey showed that 38.9 percent of institutional investors expect stock prices to rise over the next six months. That is a 3.9 percentage point jump from just one week earlier and the most bullish reading since February. However, bearish sentiment also picked up last week, but only slightly, suggesting that traders are cautiously optimistic about equity valuations in the near-term. That is not too surprising given the combination of a strong economic and corporate earnings backdrop with the handful of potential headwinds looming over the market. 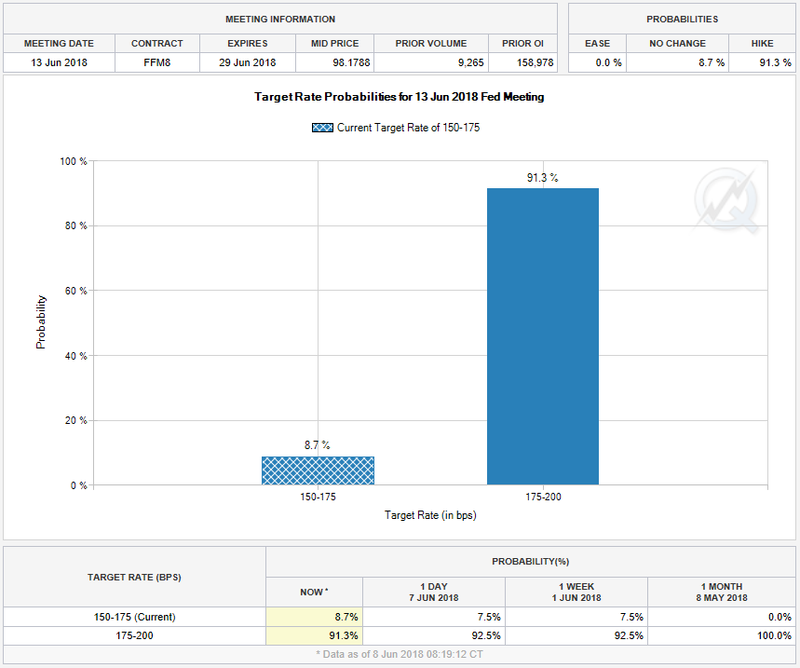 For example, the Federal Reserve is expected to raise interest rates by another 25 basis points at this week’s Federal Open Market Committee (FOMC) meeting, and the accompanying statement from officials could be very telling as to what the pace of hikes will be going forward. 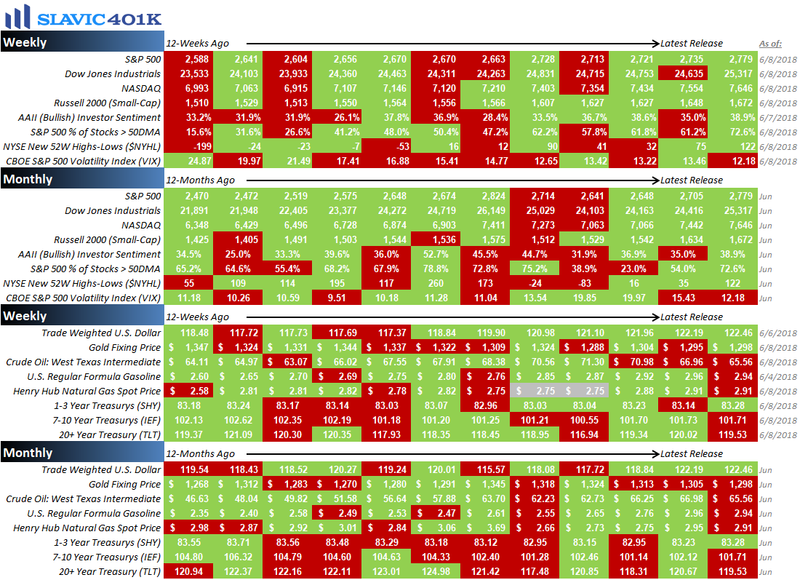 Add to that the uncertainty still surrounding foreign trade, negotiations with North Korea, and the upcoming midterm elections, and it is clear that there are many catalysts for another uptick in volatility this summer. As a result, regular investors should continue to focus less on the day-to-day fluctuations in the market and more on the long-term goal of amassing a large retirement nest egg. Assistance with that endeavor is available through the consistent use of tax-advantaged savings vehicles, dollar-cost averaging, and regularly consulting with a professional financial advisor. As always, we are here to help with any questions you may have. To recap a few of the things we learned about the economy last week, the positives included that mortgage and refinance applications rose, the nation’s trade deficit narrowed, services sector activity expanded at a faster rate, first-time claims for unemployment benefits held near a half-century low, and the number of job openings in America climbed to a record high. As for the negatives, factory orders contracted, consumer credit growth continued to slow, the ratio of quits to layoffs and discharges pulled back (albeit from a record high), productivity growth during the first quarter was revised lower, and unit labor costs increased (good for workers but inflationary in the long run). 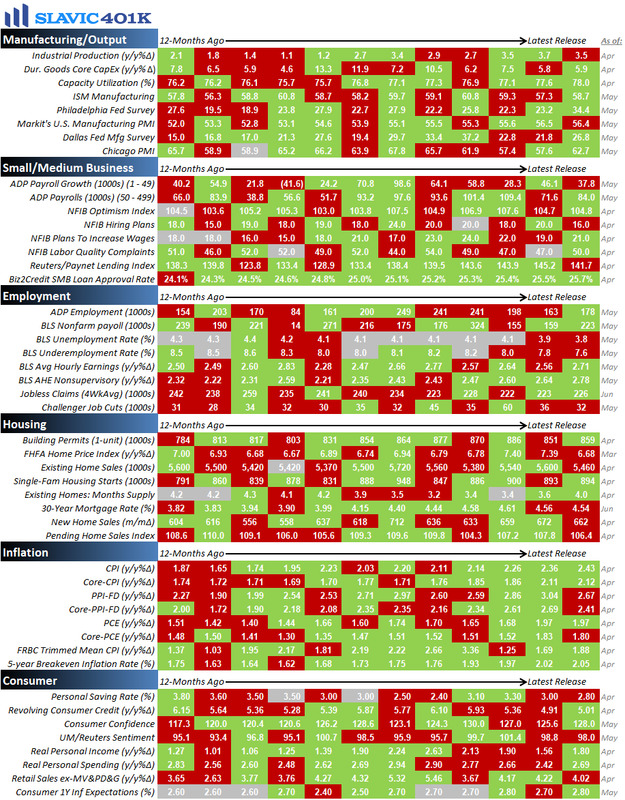 This week the pace of economic data picks up with several important reports on manufacturing, consumers, and inflation scheduled to be released, along with the potentially market-moving announcement on monetary policy from the FOMC this Wednesday.